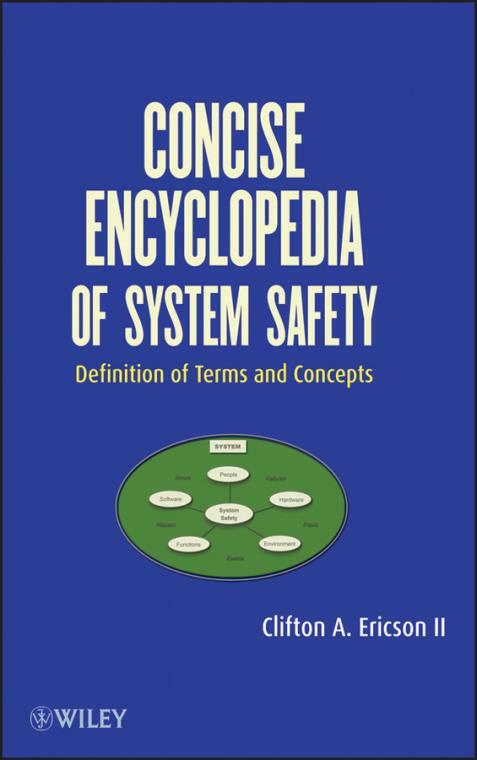 A convenient desk reference designed to fill a serious gap in the system safety body of knowledge, the Concise Encyclopedia of System Safety: Definition of Terms and Concepts is the first book explicitly devoted to defining system safety terms and concepts and designed to help safety professionals quickly and easily locate the definitions and information which they need to stay abreast of research new and old. Definitions for safety-related terminology currently differ between individual books, guidelines, standards, and even laws. Establishing a single common and complete set of definitions for the first time, with examples for each, the book revolutionizes the way in which safety professionals are able to understand their field. The definitive resource devoted to defining all of the major terms and concepts used in system safety and reliability in a single volume, Concise Encyclopedia of System Safety is the go-to book for systems safety engineers, analysts, and managers as they encounter new terms, or need an exact, technical definition of commonly used terms. Chapter 1. Introduction to System Safety. Chapter 2. System Safety Terms and Concepts. Chapter 3. System Safety Specialty Areas. Chapter 4. System Safety Acronyms. Clifton A. Ericson II has forty-five years of experience in the field of system safety, software safety, and fault tree analysis. Mr. Ericson was president of the System Safety Society (2001?2003) and won the Society's President's Achievement Award in 1998, 1999, and 2004 for outstanding work in the system safety field. He is the editor of the Journal of System Safety and author of Hazard Analysis Techniques for System Safety, also published by Wiley.